This cycle lane continues across the junction, and divides in two, giving continuity to both routes. 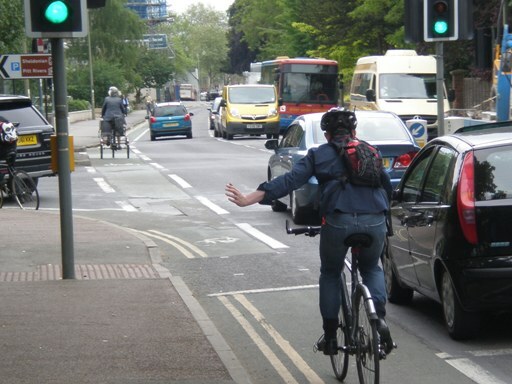 The division provokes a high level of signalling by left-turning cyclists, even though they have little direct interest in doing so. The clarity of the markings leads to drivers of left-turning motor vehicles giving way to cyclists going straight ahead.